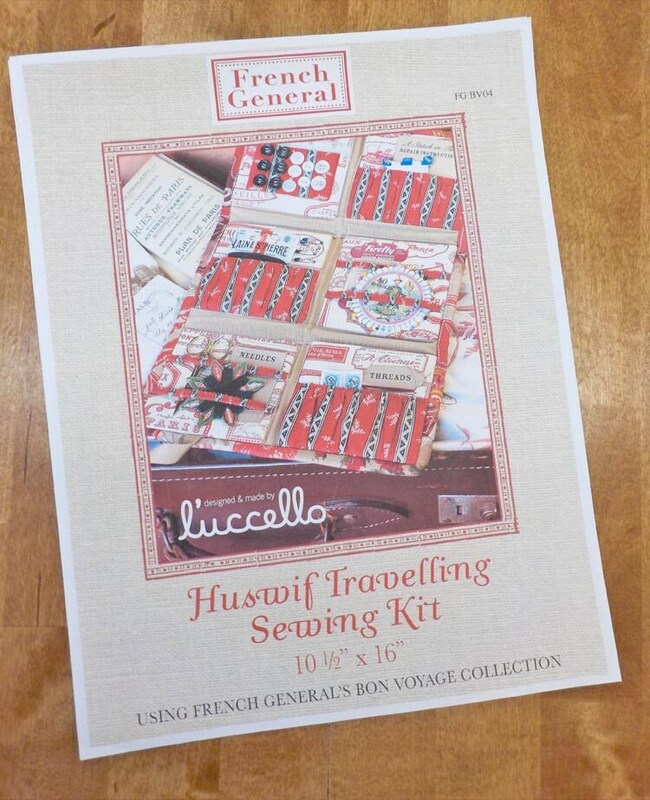 Huswif Travelling Sewing Kit Pattern designed by L'uccello for French General. If you are looking for a project bag to help organize your travel sewing goodies, this is the project for you. This sewing kit is full of pockets for floss, threads, buttons, and needles and ribbons for securing scissors, button cards, and pins. International shipping: flat rate shipping is quite expensive, if you prefer a manilla envelope, please let me know in the note to seller and i will refund overage after shipping. manilla envelopes DO NOT include tracking or insurance. This is a pattern...not a kit.